Help advance the sustainability of cities and communities by joining this working group. Do you have practical experience working with cities or communities? Are you dedicated to advancing a new generation of healthy, inclusive and prosperous places that offer people, businesses and nature an environment in which to thrive? If so, consider applying to serve on USGBC's new working group for LEED for Cities and Communities. LEED for Cities and Communities is the leading global rating system and certification program for evaluating the sustainability and standard of living in a city or community. The rating system encompasses economic, environmental and social performance measures and provides a clear, data-driven means of benchmarking and communicating local progress. Advise on global, city-scale, urban sustainability issues across the organization’s programs, policies and products. 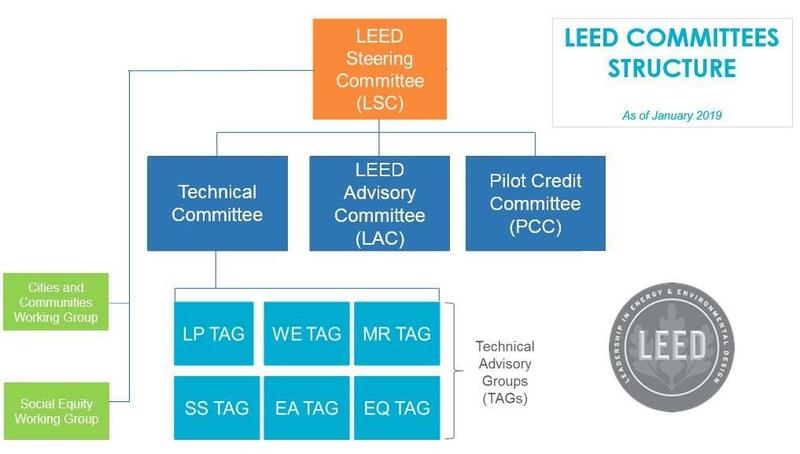 Support development, deployment and evolution of the LEED for Cities and Communities standard and program. Ideal candidates are familiar with the LEED rating systems and have recent experience with LEED for Cities and/or the STAR Community Rating System. Candidates should have direct experience working in or with cities and communities, with expertise in one or more of the rating system’s categories. Finally, the working group will seek members that represent diversity in geography, race/ethnicity, gender, sector and content expertise across the three sustainability pillars. We expect to appoint 25 members to this new working group. Each volunteer position will be for a one-year term beginning March 1, 2019. Volunteers are eligible to serve a maximum of four total consecutive years on a given committee. The application period will close on Friday, Feb. 22 at 8 pm EST. Volunteer opportunities: Information about each committee that is open for applications and the specific expertise areas the committees seek in new volunteers. Application form: Online survey to submit self-nomination and expand upon your professional background. LEED Committees: Hosts purpose statements, current rosters and links to meeting minutes for all committees and working groups.